Generate revenue from your website or mobile app with targeted advertisements from our sponsored content marketplace. Connect your inventory to the real time ad exchange with standard OpenRTB or custom XML API integration. Monetize your website content or mobile app with our network and get regular payouts. Due to a large number of advertisers in our network we have competitive CPM rates that will allow you to make money online regularly. Select ad format, install simple code on your site or mobile app and you can start making money with your traffic source in minutes. Detailed, Real time reporting is the key to success for every publisher. Accessible in your personal account. 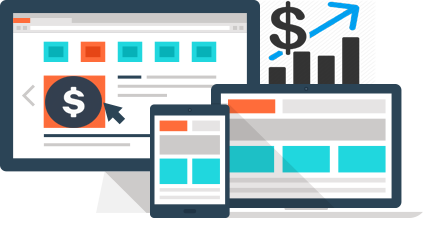 We support many different advertising formats for websites and mobile apps. From Native ads to full page mobile interstitials. Benefit on time regular payouts - FoxVisits Ad network processing payments at the beginning of each month. Are you ready to start making money ?